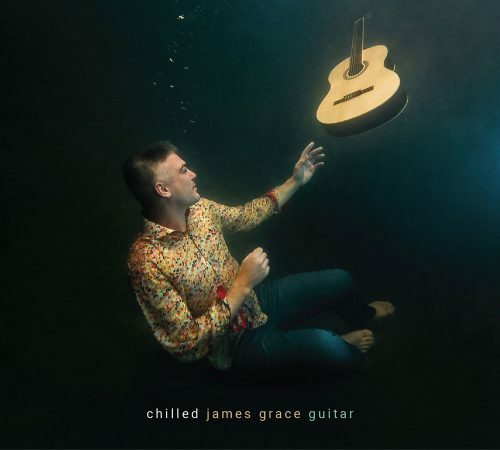 I have long been a fan of the music of South Africa’s classical guitar maestro, James Grace. So, when he releases a new CD it is, for me, something to get quite excited about. Named Chilled, this CD is a departure from Grace’s previous five solo guitar albums, which concentrated mostly on classical music for the instrument. On this occasion, he has featured his own arrangements of songs by artists which include The Beatles, Eric Clapton, Don Mclean, Jesse Harris, Carol King, Billy Joel and John Denver. There is also a South American element with original compositions and arrangements by Brazilian guitar whizz Marco Pereira. Well, the same sentiments are certainly true about the CD, Chilled. Grace is an award-winning classical guitarist who has performed with all the leading orchestras in the country. These classical roots run deep, and are evident in his arrangements of the music on this CD. The result is a beautifully smooth and laid-back album which lives up to its name, Chilled. Recorded by Duncan Mackay at DM Recording Studios the album is technically excellent with a beautifully refined and nuanced sound. It also marks the tenth anniversary of Grace’s independent record label, Stringwise Records. Best enjoyed with your feet up and a large glass of red wine to hand, Chilled is a collection of music which certainly has charms to sooth the savage breast.